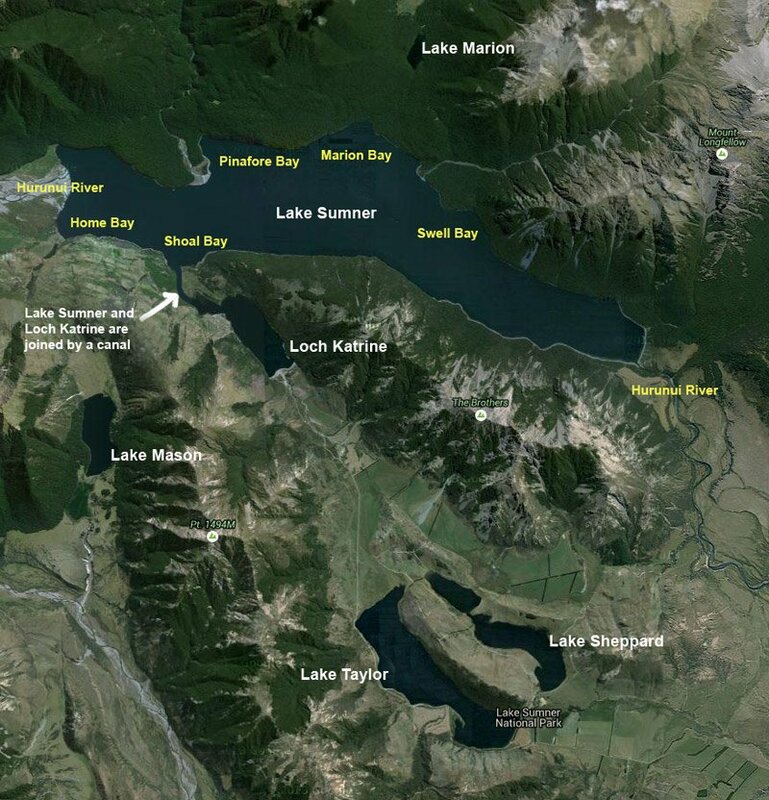 Sumner Group Lakes Canterbury. Map courtesy of Google Maps, Click on the map to enlarge. Lake Sumner. Map courtesy of LINZ. Crown copyright reserved. Each grid square represents 1 square kilometre. Click on the map to enlarge. 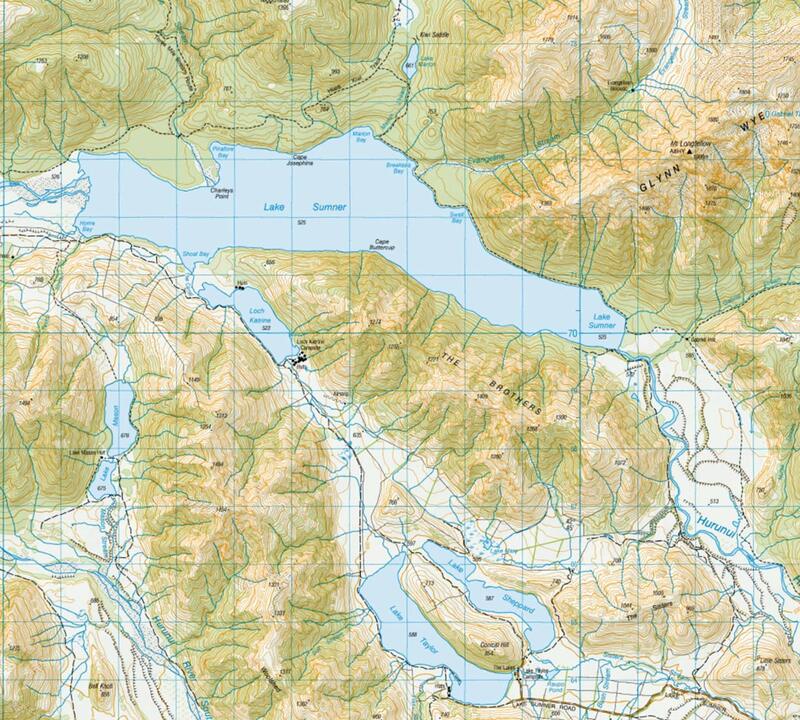 There is unrestricted four-wheel-drive access to Loch Katrine. To drive from Loch Katrine to the head of Lake Sumner anglers need to phone 03 314-4343 for permission and the combination code for the locked gate. Here is a great video that gives you a good view of Loch Katrine and Lake Sumner. As well as a look at the canal that joins them together.